Ever since ancient times, tribes have been piercing each other’s skin with ink to construct what we know now to be tattoos. They have been popular for quite some time now, although previously not in mainstream society. Nowadays, tattoos are a very common thing. People from all walks of life have gotten tattoos for various reasons- both meaningful and not. It has become quite a popular way for expressing one’s ideals, beliefs, traditions, sense of self, etc. But why? Could it be that mainstream society has created a norm? A norm of inking one’s body? Perhaps one can say that this is true. But, if that many people are getting tattoos and considering it to be a societal norm, aren’t there just as many people that don’t agree that is it a “norm”? There must be. Those are the people who are against getting tattoos in general and the people who’ve gotten them and have realized that they regret it. Tattoos are no longer a thing of permanence. This is the future. It is no longer ancient tribal times. 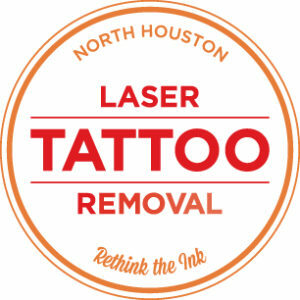 We now have things such as laser tattoo removal to make our lives easier; to make our lives more uncomplicated. Tattoos are becoming less of a mainstream idea as conservatism returns to society at large. This conservatism comes from political parties, religion, and old traditions resurfacing, etc. Not getting them or getting them removed is becoming more and more popular as time goes on. Tattoos are not acceptable in certain aspects of society such as the workplace, church, etc. Also, many people find that they regret the tattoos that they’ve gotten when they were young and naive and wish to get them removed. Therefore, laser tattoo removal has become more and more desirable. You can erase mistakes, fit into society better, and start over fresh.